Cyclone Idai made landfall on the evening of 15 March 2019 in the port city of Beira located in Sofala Province of Central Mozambique. The cyclone wreaked havoc on Beira and surrounding areas resulting in loss of communication, damage and destruction to shelter and settlements, health and water/sanitation (WASH) facilities and thousands of hectares of standing crops, communication infrastructures and as well as loss of life and injury. donations, Transportation and Volunteers to assist the affected persons. * To provide immediate life-saving and longer-term support to 200,000 people affected by Cyclone Idai in Beira and Dondo areas focusing on Shelter (including household items); Health; WASH; Livelihood and basic needs; PGI, DRR and National Society Capacity Strengthening. Disaster Risk Reduction (DRR); Protection, Gender and Inclusion (PGI) and National Society Capacity Strengthening for 24 months. * Shelter and Household items: Thousands of families have been displaced and most homes have experienced significant damage. The Red Cross will focus on providing immediate shelter support to 15,000 families. There is a need for the provision of temporary shelters, especially for families whose houses have been completely destroyed. and need to be supported to prevent water-borne disease outbreaks. * Health: Floods and cyclonic events often lead to death and injuries as well as increased health needs in affected communities. 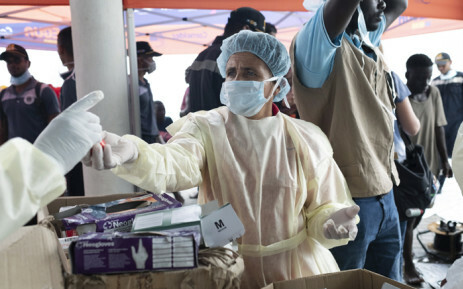 Infectious diseases are likely to increase in the aftermath of the disaster. * Livelihoods and basic needs: Due to the destruction, flooding and displacement of population, food availability is very limited. Although not known precisely, initial reports indicate that at least 500,000 hectares of crops have been damaged or destroyed and this will continue to impact food security and nutrition in the months ahead. the response and recovery phase as an opportunity to reduce future risks. * 9 March 2019: CVM preparedness and early warning actions underway. * 13 March 2019: IFRC Surge Capacity is deployed to Maputo. francs for 75,000 people for 12 months. Swiss francs for 200,000 people for 24 months.